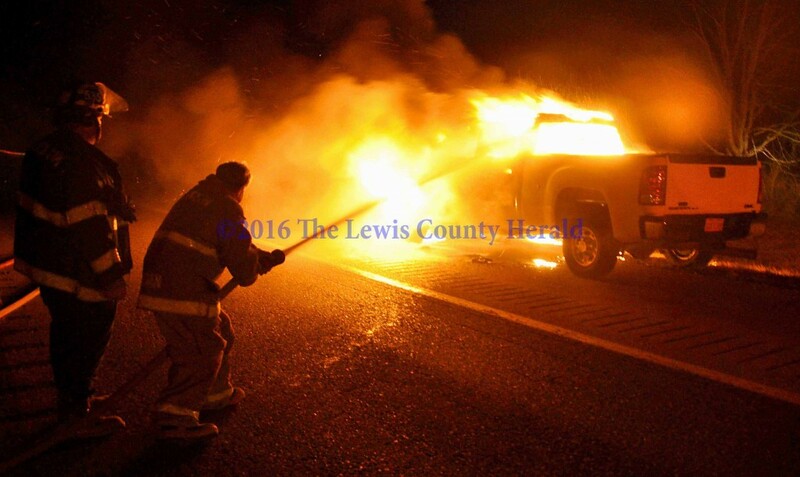 Firefighters were called to an auto fire on the AA Highway at Garrison Sunday evening when a pick-up truck was reported on fire. The eastbound pick-up caught fire and the driver was able to pull onto the shoulder of the roadway and safely exit the vehicle. Constable Mark Riley responded to the call along with Garrison and Black Oak fire and rescue units. The fire was extinguished and the auto removed from the scene. No one was injured. Traffic was detoured around the scene on Old Spy Run Road until the roadway was cleared.